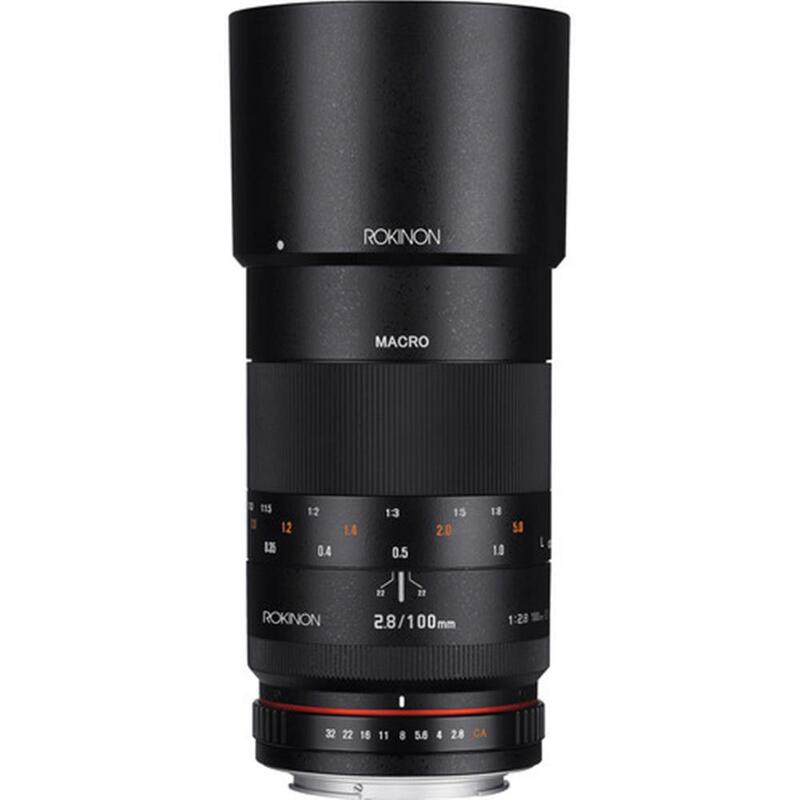 A long focal length lens with close focusing abilities and a high magnification ratio, this macro lens is ideal for making close-up, detailed images of nearby subjects. A bright f/2.8 maximum aperture is useful for working in a variety of lighting conditions and the minimum f/32 aperture helps to attain a long depth of field when working with close-up subjects. One high refractive index element and one extra-low dispersion element help to control chromatic aberrations and minimize distortions throughout the focusing and aperture ranges. An Ultra Multi-Coating has been applied to lens elements to reduce lens flare and ghosting for increased clarity, contrast, and colour fidelity. Featuring a macro design, this lens affords a 1:1 maximum magnification ratio along with a minimum focusing distance of 1 foot. 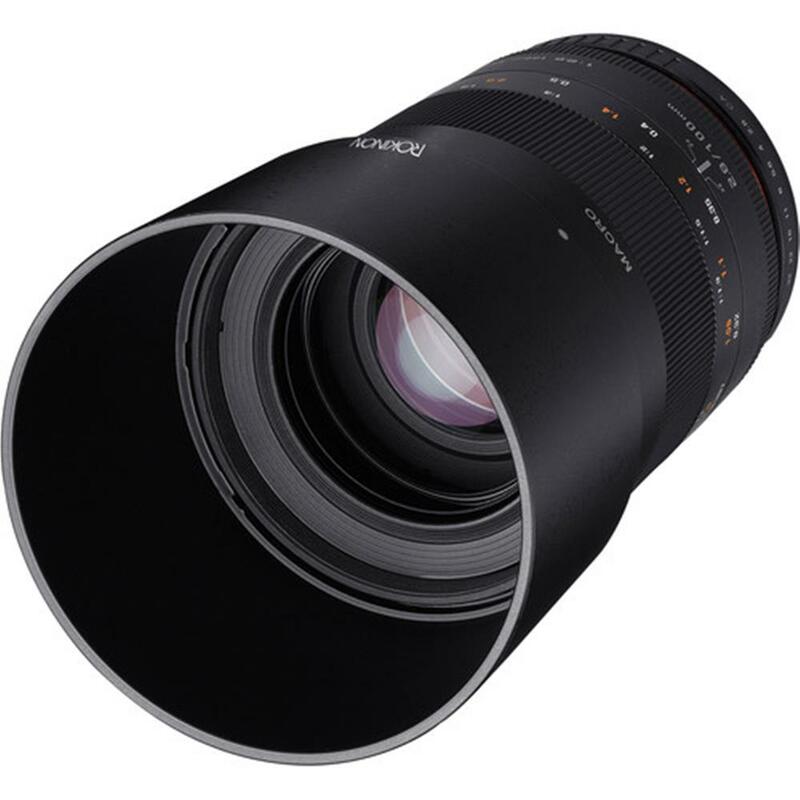 Benefitting working with especially close subjects, this manual focus lens features an internal focus design to maintain the overall lens length during use. Additionally, the front filter mount does not rotate when focusing to better enable the use of polarizers, graduated ND, and other filter types that require precise positioning. A rounded nine-blade diaphragm contributes to a pleasing out-of-focus quality when using selective focus or shallow depth of field techniques.